Jason Merritt/Getty ImagesKimbo Slice arrives at Spike TV’s 7th Annual Video Game Awards in Los Angeles in 2009. 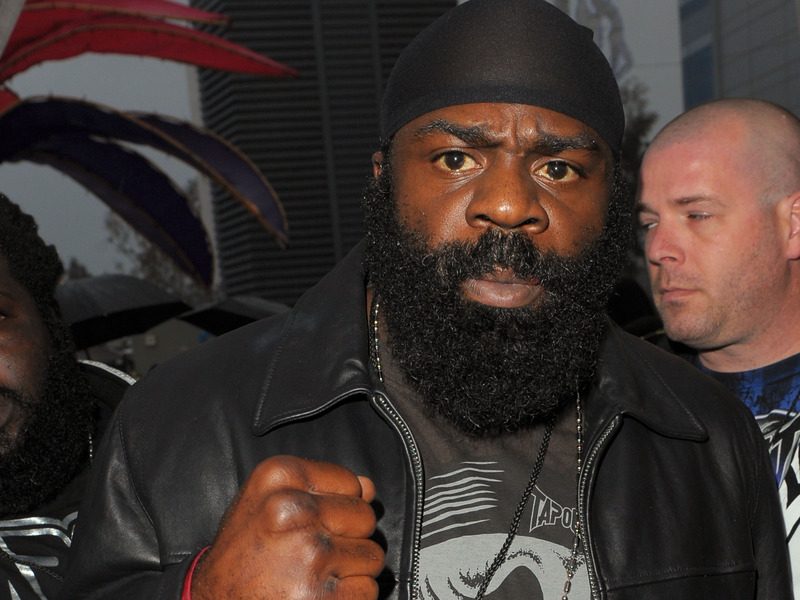 Mixed martial artist and boxer Kimbo Slice has died at age 42. The death was reported in a statement by Scott Coker, president of Slice’s promotion company Bellator. “We are all shocked and saddened by the devastating and untimely loss of Kimbo Slice, a beloved member of the Bellator family,” Coker said in the statement. “One of the most popular MMA fighters ever, Kimbo was a charismatic, larger-than-life personality that transcended the sport,” he added. Slice, birth name Kevin Ferguson, had been admitted to a hospital near his home in Coral Springs, Florida, for undisclosed reasons on Monday, a police spokeswoman confirmed to ESPN. His condition was “dire,” according to TMZ. Slice gained fame in 2003 after videos of him brawling in unsanctioned street fights spread across the Internet.